What’s up for April at ROXY Beer Club? 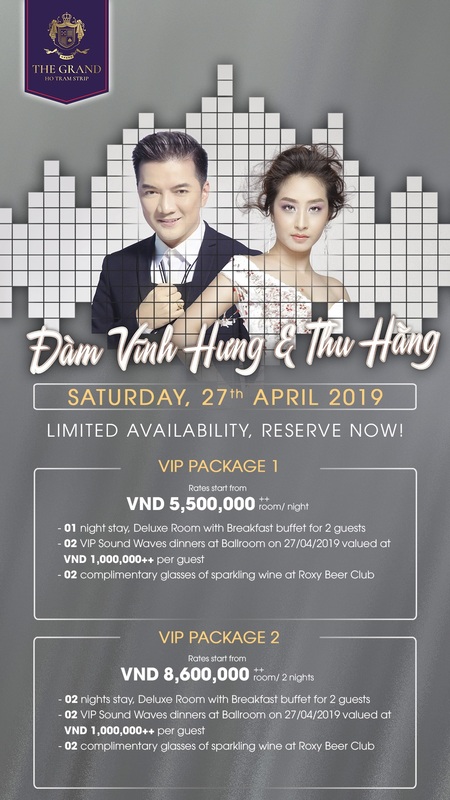 Unwind after work and get up close in the best possible way by enjoying the live music at ROXY Beer Club on Saturday 27th April 2019, where the king of V-pop Dam Vinh Hung will be performing his extreme hits. Our cozy and intimate atmosphere is the perfect end to a long week. So what are you waiting for? Reserve a table and hurry down to ROXY Beer Club for a relaxing and fun-filled time!